Thumb up for keeping Adlib tracking alive! 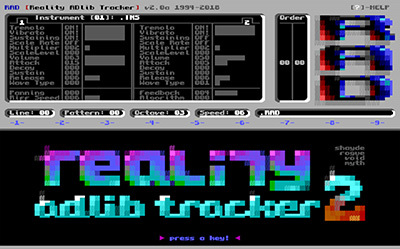 Wow, Adlib tracker for Mac! It's running fine under WINE, but a native Linux executable would be nice. Major props for OS/X AND for keeping the DOS version alive though! BTW the included demo tunes are tops. Super enjoying OPL3 Groove right now as I write this. This might very quickly become my favorite OPL3 tool. Wait, wait, wait..... WTF o_O...? Am I reading, seeing correctly? Damn, I did not see that coming. Ever. Big thumb up. Much appreciated in 2018. Long live OPL3. Can't get the MIDI input to work in Mac OS X 10.10.4 Yosemite. Tried multiple different MIDI interfaces, pressed press A and tried all sorts of combinations of various stuff. page created in 0.016362 seconds with 15 queries.